SEVERAL Adelaide Crows players had at least one reason to smile during the weekend. Just hours after being spanked by Hawthorn in their first match of the season, the footballers were in the winners’ circle thanks to Watch This’ success in the Victoria Sires’ Classic at Tabcorp Park Melton. Adelaide Crows players Brad and Matt Crouch, Josh Jenkins and ‘Tex’ Walker, are part-owners in the Michael Stanley-trained youngster which proved slick in the feature. With Stanley holding the reins Watch This began quickly to lead from barrier three before being eased to take a trial behind Crime Writer. 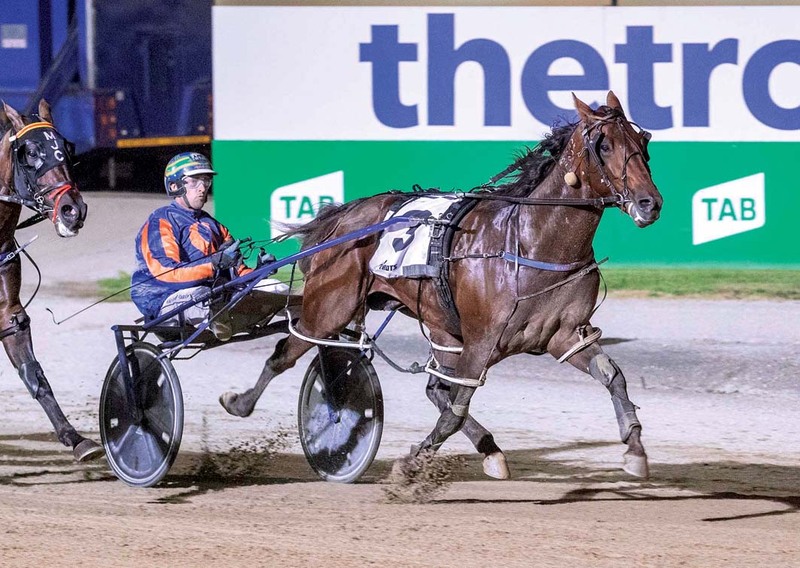 Angled into the passing lane during the latter stages, the son of Betterthancheddar sprinted to a two-metre win from the pacemaker, with Titan Bromac a neck away third. “He got a really nice trip and was good enough to make the most of it,” Stanley said. An Australian Pacing Gold purchase, the three-year-old rated 1:55.7 over 2240 metres to stretch his record to six wins and a second from 13 starts. To be given a short spell, Watch This will then be aimed at the Vicbred Super Series later in the season.